Samsung is arguably among the leading multinational conglomerate companies, manufacturing a whole host of electronics consumed by people around the globe. Not many people know that apart from playing a vital role in South Korea’s economy, media, culture, and politics, Samsung had a very humble beginning– one in great contrast with its current status. Samsung’s story begins in 1938 as a brain child of Lee Byung-Chull, who was born into a quiet affluent family of landlords in the county of Uiryeong. Lee’s family later moved to a nearby city Daegu where he founded his first venture. The company was initially a rather localized trading company with the name Samsung Sanghoe. Run by forty employees, the company’s first headquarter was located in Su-dong. Initially, the company started off by trading in groceries that were produced locally– mostly noodles and other common edibles. 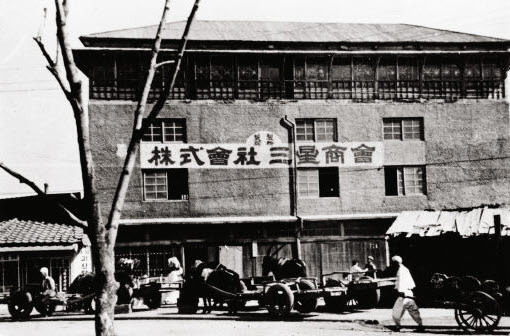 Lee’s company prospered well enough in the first decade of its formation, and in 1947 he had gained enough confidence to shift his headquarters to the capital, Seoul. The prosperity wasn’t long lived; after the breakout of the Korean War, which involved some of the most powerful nations in the world, Lee had to roll back on his ambitions and leave Seoul to save his company from certain demise. Lee’s next venture was into the business of sugar refining; he founded Cheil Mojik in 1954 and located his company’s plant in Chimsan-dong in Daegu. Over the following few years, Samsung experimented with diverse areas of trading as the opportunity for the right business presented itself. Lee was a very ambitious businessman who wanted to establish Samsung as a leader that dealt with a whole range of different business areas throughout Korea, and perhaps beyond. Lee took Samsung into the challenging sectors such as insurance, retail, and securities. The president of Samsung, Park Chung Hee, placed great emphasis on the modernization of the technology within the organization and greatly respected its industrialization, deeming it an inevitable dimension for growth and prosperity. Chung Hee worked towards establishing a number of local conglomerates with an aim to protect the fragments from a severe market competition by assisting them wherever and whenever required. Since Samsung moved to Seoul in 1947, the founder of Hyosung group collaborated with Lee Byung-chull and jointly formed a company called Samsung Mulsan Gongsa, meaning Samsung Trading Corporation. The company had a very subtle yet influential start and soon grew significant in size and impact, thus became what we know today as Samsung C&T Corporation. The partnership between Cho and Lee didn’t prove to be long lasting as after few years both men met with a severe disagreement which led to the dismantlement of the organization. Cho wanted to have a 30 equity share whereas Lee disagreed on the new terms, the company thus split into Samsung Group and Hyosang Group and Hankook Tire, as well as other small businesses. The current face of the Samsung started forming in the 1960’s when the company anticipated the potential in the electronics industry and took a radical shift towards the production of electronics. Perhaps the wisest decision by Samsung in the 60’s was to form a whole variety of different divisions dealing with specific electronic components. Samsung formed Samsung Electronics Devices, Samsung Corning, Samsung Electro-Mechanics, Samsung Semiconductors and Samsung Telecommunications; all these divisions operated from a facility in Suwon. Samsung’s first electronic product, which gave Samsung the initial kick-start in the electronics sector, was a black-and-white television set. 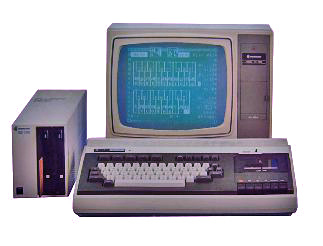 In 1980, Samsung took another radical step and acquired then prospering Gumi-based Hanguk Jeonja and stepped into the arena of telecom hardware industry. Samsung quickly started manufacturing switchboards that received good response from consumers. The facility in Suwon quickly transformed into a fax and telephone manufacturing unit and became pivotal in Samsung’s phone manufacturing division. The facility has so far manufactured over 800 million mobile phones of varying technologies and features. In the 1980’s all various electronic divisions were merged together and operated under one banner– Samsung Electronics. Fast forward to 2016 and Samsung Electronics has now emerged as a leader in electronics. In 2015, Samsung in the United States alone was granted more patents than any other organization or company, beating Google, IBM, Microsoft, Sony, and Apple. The company was able to acquire 7679 patents in total. 2016 has been a very successful year for Samsung with minor setbacks that only contributed to the betterment of quality rather than hindering the growing influence. In January of 2016, Samsung made an announcement that it is going to work with Microsoft in the development of IoT devices that are used in Windows 10. The future of Samsung looks very bright as the culture of innovation within Samsung grows richer with time.